Let’s say you want to share a chart that provides both basic employee information and also some deeper employee details. The OrgPlus Plug-in is the perfect solution. 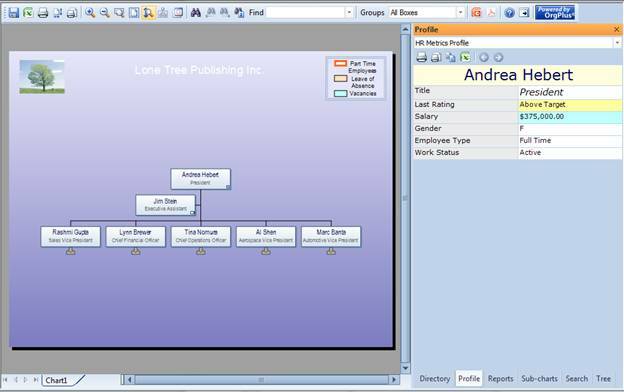 Publishing to the OrgPlus Plug-in allows you to include Profiles, Directories, and Searches along with the org chart. An HTML container page for the chart is automatically created during the publishing process so even users who do not have the OrgPlus Plug-in installed locally can view the chart. 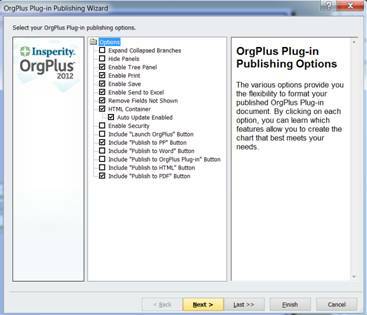 Step 1: From the File menu, select Publish to > OrgPlus Plug-in. 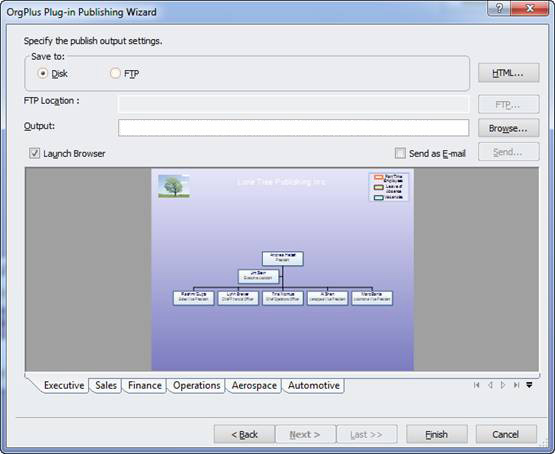 Step 2: Select options from the first screen of the OrgPlus Plug-in Publishing Wizard and click Next. Step 3: Un-check any sub-charts, profiles, directories, and/or the search panel that you wish to exclude; click Next. Step 4: Name the file and select a save to location; click Finish. The resulting chart shows basic employee information in the boxes while the side panel displays Profiles and Directories with rich employee details . 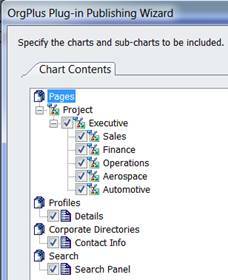 Users can also explore the chart hierarchy using the Tree and Sub-chart panels, and the powerful search feature makes it effortless to find anyone in your chart. 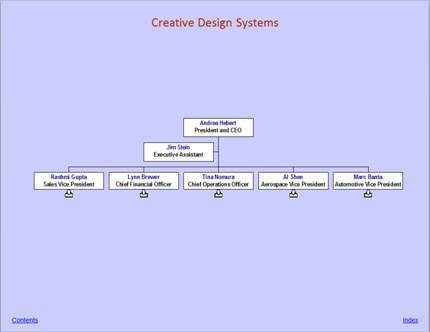 When the time comes to deliver a basic org chart to a wider audience, try publishing to PDF. This will produce a chart that looks just like your original and is read-only. Additionally, viewers can navigate pages using the sub-chart arrows. 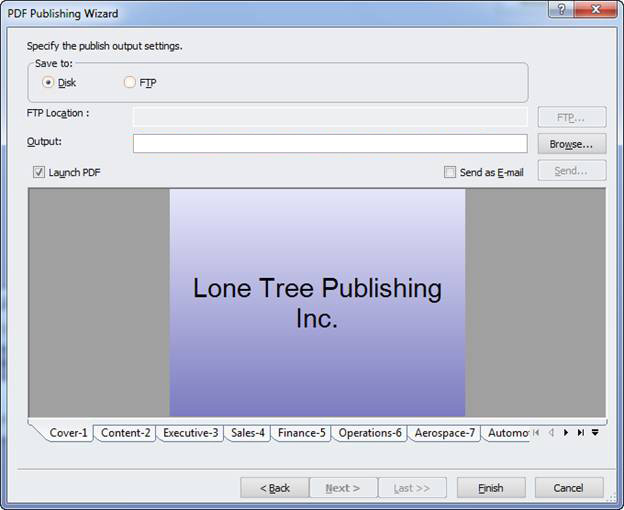 Step 2: Select Options from the first screen of the Publishing Wizard. –	Name the file and choose where to save it. 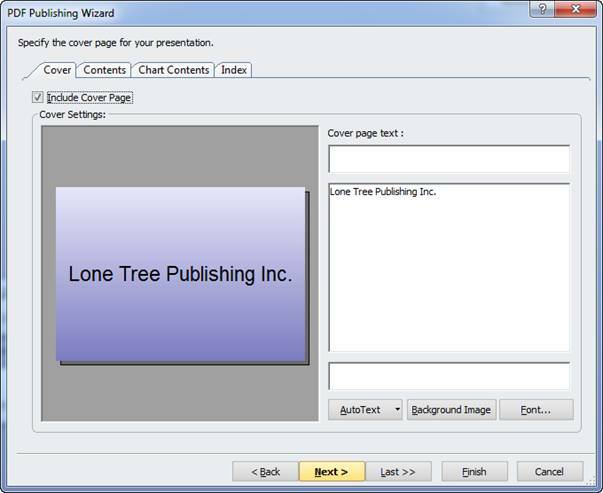 The resulting PDF presentation looks like your original and is easy for others to view and navigate. 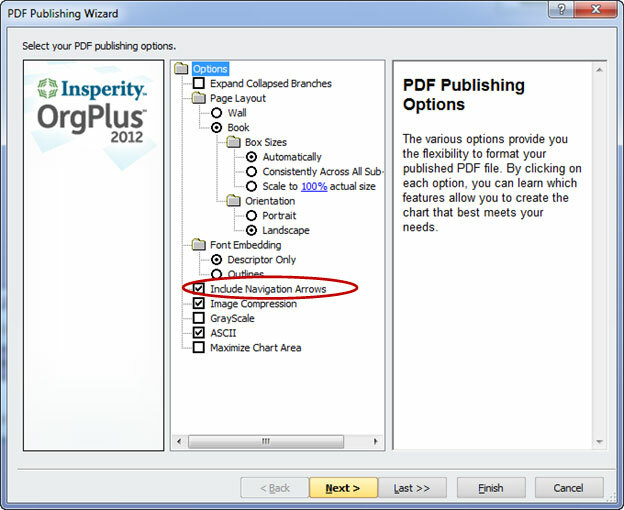 In addition to the OrgPlus Plug-in and PDF, you have the option to publish to HTML, PPT and Word.